In its 20th year, METRO Magazine, via its highly-anticipated fashion show series Samsung Metrowear, continues to provide a platform for Filipino designers to showcase their artful creations to the local fashion scene and promote them on the global stage. As part of the series, Metro also recognizes and honors an iconic Filipino designer for their contributions to the industry with the Samsung Metrowear Icon show. Previous honorees were Joe Salazar, Auggie Cordero and Randy Ortiz. This year’s Samsung Metrowear Icon presentation showcased the works of renowned knitwear designer Lulu Tan Gan. In a gala presentation at the NBC Tent last November 10, 2009. 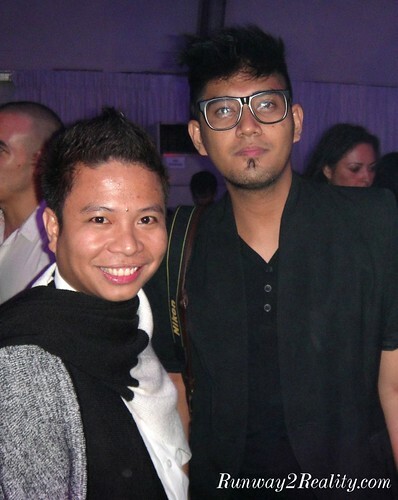 Manila’s chic and stylish set came in full support of this talented designer and artist. In the Philippine fashion scene, Lulu Tan-Gan’s name has been synonymous with knitted fashion wear since 1986. TAN-GAN is an acknowledged leader on the cutting edge of the fashion industry and is best known as a designer label for elegant and timeless knitwear for the confident, fashionable, and active female market of today. She is also active board member of the Fashion and Design Council of the Philippines and tirelessly working in promoting the Filipino label to compete in the global market. Inspired with Lulu Tan-Gan’s Fashion Technique of blending contemporary design and indigenous materials, this event will be reflective of such vision. Lulu’s 50-piece collection, dubbed as Pina-Knitwear, for the Samsung Metrowear Icon show will be highlighted by her unique fashion point-of-view, as she plays with color, textures, beadwork and fabrics in her pieces. Director Robby Carmona did a great job. I love the show.